This is the first time my son reads a post-apocalyptic coming-of-age story and he really enjoyed it. It was an adventurous tale with a twelve year old girl who likes heart-pounding and daring action, just like my son. Hope lives in White Rock, a town in the midst of a valley. After the devastating green bombs of WWIII, they have no technology and live much as our ancestors did, inventing things to help with their livelihood. Inventions are so important in this town that everyone, from child to adult must invent something and present it to the town. 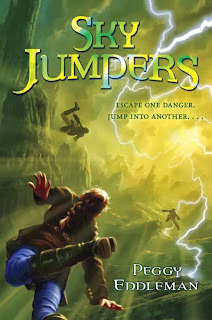 Hope is terrible at inventing, but she's quick-witted and is good at cliff diving into the Bomb’s Breath—the deadly band of compressed air that covers the crater left by the bombs—even though they are forbidden from going anywhere near this deadly air. When bandits overtake and hold the town hostage to steal their precious stash of antibiotics, Hope knows she must get to the neighboring town to get help or people will die. Hope is a such a great and likable character. She feels inadequate because her inventions always fail. She's reckless and tends to get into trouble for it. But when her family and town are attacked, she takes action. She has leadership skills and manages to escape with a few of her closest friends through a snow blizzard to get to the next town for help. 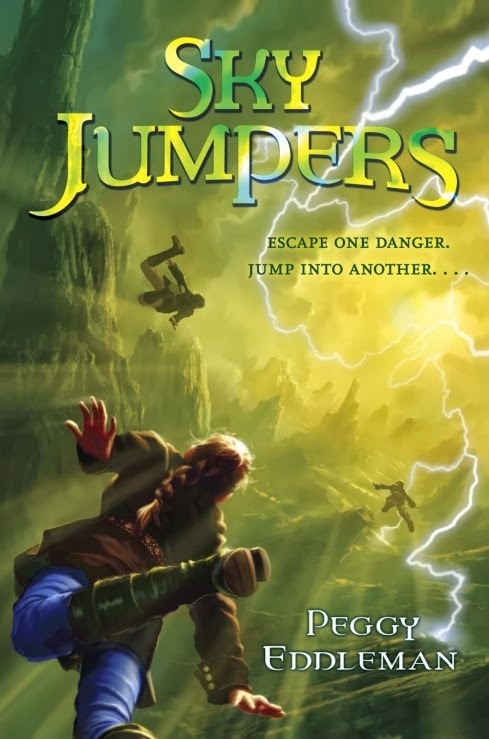 When they are chased by the bandits, it is Hope's quick thinking and her daring actions that get them out of one dangerous situation after another. This was a wholesome story about family, friendship and community. I enjoyed reading it with my almost 10 year-old son. It was good to have a modern yet old-fashioned story and setting to transport my son into a world without technology. It was filled with action, adventure, and friendship. This is book one, although it is complete and a stand alone. My son is looking forward to the second book. We both think the book cover is awesome. Disclosure: Thanks to the publisher and NetGalley for sending us a copy of this book for review. We were not compensated in any other way, nor told how to rate or review this product.